Men’s median earnings during this mother of all recessions have actually been better than the recessions of the early nineties and early eighties. What distinguished the recession of the early 2000s was that median earnings did not decline, probably due to the growing boom in the construction industry at the time – a boom that would blow up the economy in 2008. 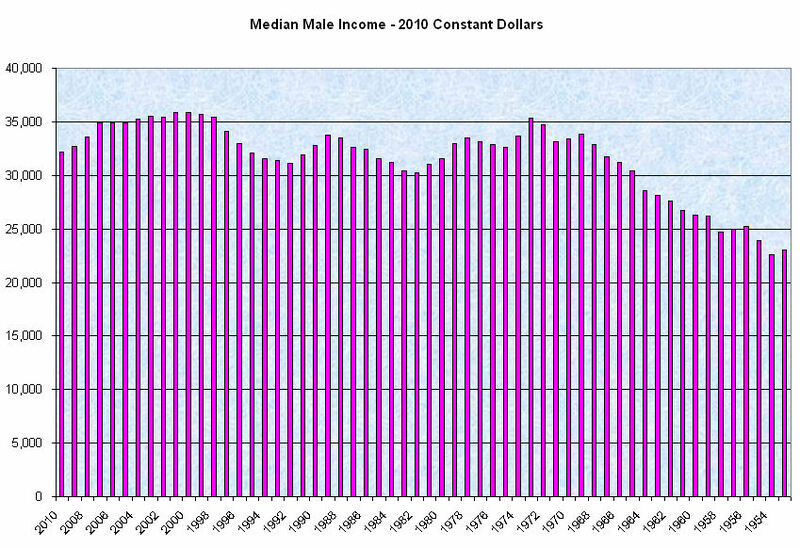 What is apparent is the two decade “Camelot” period of the post war period when median male incomes steadily increased. 1979 was a historic year when there were more women in the workplace than men. How have full time employees of both sexes done in the past thirty years? 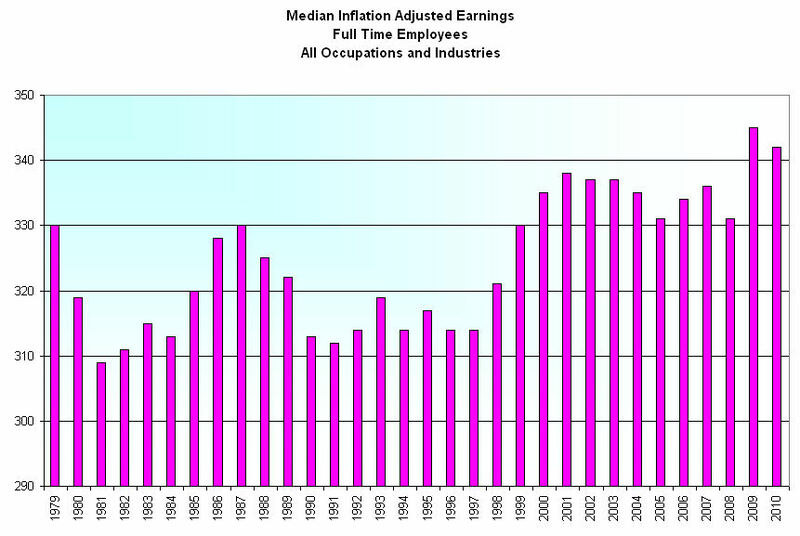 Data from the Bureau of Labor Statistics shows a overall slight increase in median inflation adjusted earnings during the past decade. The increased production of workers during those thirty years has been strong – far more than the slight increase in earnings. 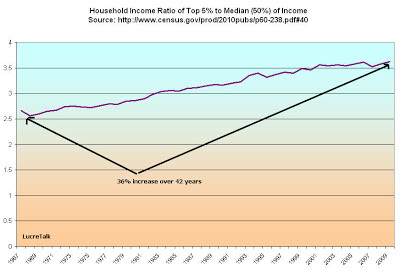 As I noted a few weeks ago top incomes have been growing far more than the median income. 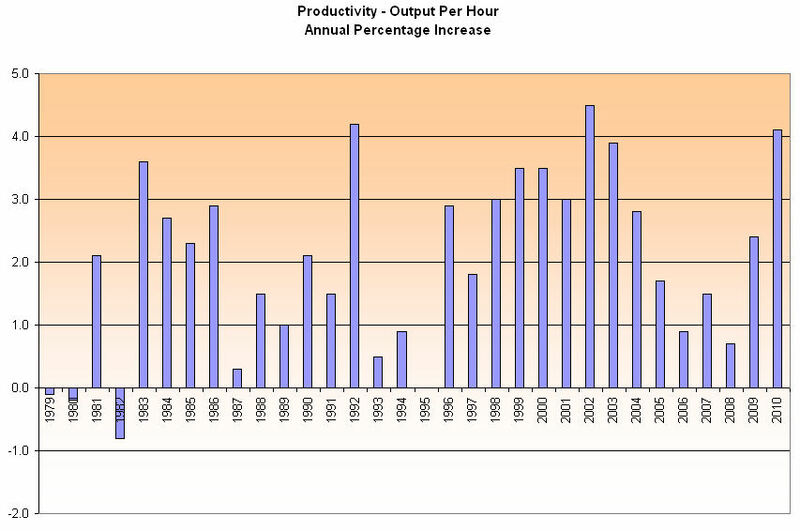 Productivity gains produce greater profits. Those profits have largely gone to employers, not the employees.